Now that autumn is in full swing, this signals the start of my family’s Big Fall Clean-Up around my home. We do a huge cleaning inside and outside of our home. This year, we can even enlist our younger kids to help us get all of our chores on our Fall Clean-Up To-Do List as they are both big enough to walk and pick up things they were not able to last year. This was also the perfect time for my family to test out the new Seventh Generation Disinfecting Cleaners around our home! This line of cleaners is great for what we needed to do around our home. They would help us clean up our home quickly as we do not have to go over the area we just cleaned by wiping the spot we just cleaned with water to remove the cleaner. This is because the cleaners are made from botanically pure extracts, so they are not harmful if they get on the skin. The CleanWell Inside™, a patented technology used in these products, kills 99.99 % of germs on hard, non-porous surfaces. They also fight viruses and bacteria such as Influenza A (the common flu), salmonella choleraesuis, staphylococcus aureus and escherichia (E) coli. The Disinfecting Multi-Surface Cleaner was great to clean up our kitchen and windows! When it came out of the spray nozzle, it was bubbly, but not overly foamy. It got right to work on the grease and grime that was left from our breakfast that morning, and it also left a streak-fee shine to our windows. We also used this cleaner on our other non-porous surfaces such as the faucet at our kitchen sink to disinfect it during our cleaning spree. The Disinfecting Bathroom Cleaner is great to use in the bathroom. It was especially great to use if you are short on time and you are expecting company soon like I was that day. I was able to clean up my sink, toilet and tub quickly, and it was great knowing that everything I cleaned was disinfected as well, so I did not have to go over everything again. I was able to tidy up in our bathroom and then gussy myself up a bit before the doorbell rang! Since these cleaners also have a clean lemongrass citrus scent to them, I did not smell like cleaning supplies. The Disinfecting Wipes are great to use all around the house for a quick cleaning of little messes. I use them after baking with my kids on the counter tops and to get rid of smudges little fingers left in our bathroom after playtime outside. These wipes are also great to disinfect our door knobs and light switches, remote controls and even drawer handles! It feels great knowing that I can just pull out a Seventh Generation Disinfecting wipe to clean and disinfect an area without much effort or worry to my kids will be harmed by harmful cleaners. 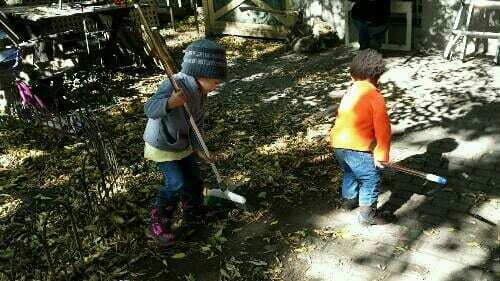 Our big Fall Clean-Up was not limited to just the inside of our home. 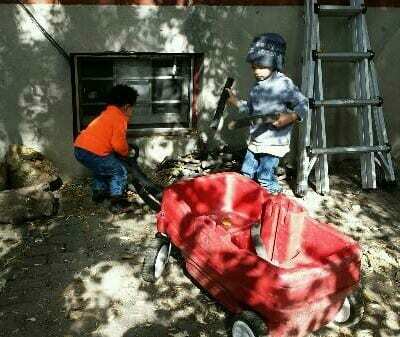 We also started getting our yard ready for winter. Here are some of the tips from a post from a Seventh Generation blog post we used to help get our yard in shape for the season to come. Instead of bagging up and throwing away your lawn clippings and leaves, you can turn them into fertilizer. Here are our little helpers accomplish this tip. According to Seventh Generation’s post, using garden equipment engines make up 5 % of the nation’s air pollution. To cut down on the amount of pollution being emitted, use equipment where we become the engines that run these items. My other half used an axe to chop up the wood we had instead of a chainsaw. The kids are helping out by picking up the smaller pieces and loading them into their wagon to move them out of our yard. When cutting your lawn for the last time this year, cut it a little shorter than usual to discourage matted grass and snow mold. Also spread a thin layer of compost over your lawn to keep your lawn healthy over the winter. Check around the outside of your home to see if any repairs (leaks or cracks) need to be made before winter is upon us. This could save you some money over the winter and keep you home warmer, too. Pick the rest of the fruits and veggies in your garden, and transplant any plants you want to enjoy over the winter indoors. 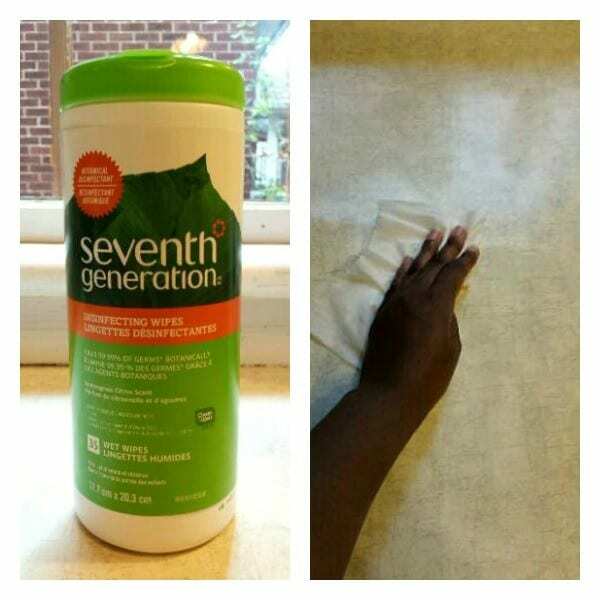 My family really enjoyed using Seventh Generation’s line of Disinfecting Cleaners. They helped us get through our big seasonal clean-up quickly and they worked on most of the surfaces we have in our home. It was also a relief knowing that these products are safe to use around our kids. So if you were looking for a clean team to help you clean your home quickly and safely, then you should try Seventh Generation’s Disinfecting Cleaners. If you want to have more information on Seventh Generation or their products, you can visit their website, as well as their Facebook, Twitter, Flickr, Instagram, Pinterest or YouTube pages! Disclaimer: I received products in return for a review of Seventh Generation products. The opinions expressed in this review are honest and are my own. 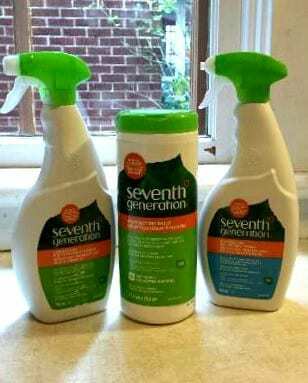 Seventh Generation wants to help one lucky Ottawa Mommy Club reader quickly and safely clean their home by giving away $50 worth of Seventh Generation household supplies! Good luck OMC readers and enjoy! We use the 7th Generation Laundry detergent and it is wonderful. My family all have sensitivities to scents and harsh detergents and this stuff works great for us. It also does a great job cleaning our clothes, always gets the stains out. the bathroom cleaner – is there toilet cleaner (gel)? That would be great! I would love to try the wipes for sure. 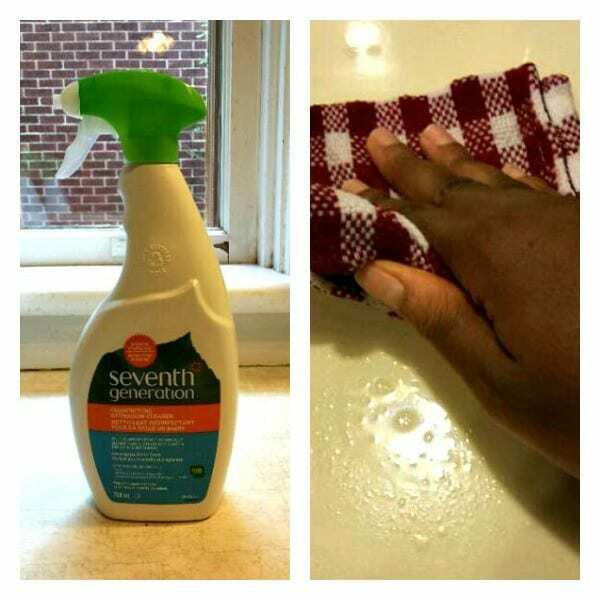 U use Seventh Generation Dish soap, it works great! Keeps the clean! Stays pretty greaseless. the wipes look pretty handy! The disinfecting wipes for sure, I use those on a regular basis!! I have used their dishwasher detergent, it worked well. I also use their wipes, they are actually my preferred brand of wipes. Would love to try the Disinfecting Multi-Surface Cleaner, sounds like it would come in handy all over the house. I’ve not heard of these before but would love to try out the Disinfecting Multi-Surface Cleaner. I would use the Disinfecting Wipes.I use a lot of wipes and would like to try these. Thanks for the giveaway. I would love to try the Disinfecting Bathroom Cleaner!! I would love to try the disinfecting wipes and bathroom cleaner. I would like to try the Disinfecting Multi-Surface Cleaner. I would like to try the NATURAL LAUNDRY STAIN REMOVER, FREE & CLEAR. I love wipes, so I’d love to try the wipes. Thanks for the giveaway! I would love to try the wipes first! Would like to try the Disinfecting Wipes. This being cold and Flu season they would really come in handy for disenfecting wipe ups! I would like to try the The Disinfecting Wipes. Having a toddler, everything around me can get dirty all the time. This would be handy. The disinfecting wipes would be so handy to use and have! I’d like to try their disinfecting wipes. I would like to try the wipes. I have tried some of the products and I Like them. I have not tried the disinfecting wipes. I would like to try the disinfecting multi-surface cleaner, please. I’d like to try their disinfectant wipes. I have the unpleasant job of cleaning at work, but they supply very little in the way of cleaning supplies. I think the wipes would come in very hand for cleaning the faucets and door knobs of the washrooms. I love the dish soap. I make most of my other cleaners! The disinfecting wipes would be very useful! The disinfecting wipes because they are so handy for quick cleanups! I use the disinfecting spray right now but would love to try more products, I can smell the non-chemical! I would love to try them all. The disinfecting wipes would be great to have handy. I’d like to try the wipes – they’re one product I always feel guilty about buying/using but sometimes they’re necessary so it’d be nice to have a “lesser evil” version! I would like to try the laundry soap because I have sensitive skin. The wipes – these are the handiest things ever invented! The Disinfecting Wipes would be very handy! 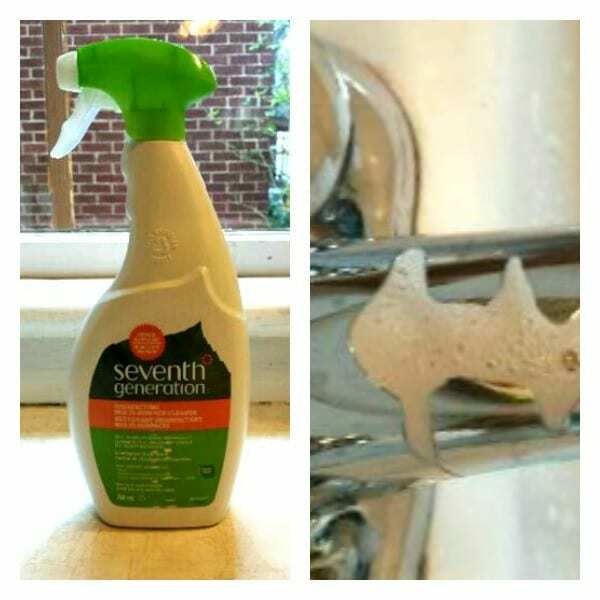 I’ve used quite a few different Seventh Generation products before including window and glass cleaner and dishwasher detergent. I’d love to try the wipes. I have 3 kids and a bird who thinks he’s a 4th kid and hangs out with us all the time. I’m constantly cleaning little messes all over the house. I think this product would make my life so much easier! Ohhhh I am torn. But the wipes!! I’ve used various 7th Generation products over the years, but I would love to try those disinfecting wipes! I really love how handy wipes are, I would love to try the wipes. I haven’t tried their products yet and would most like to try the Disinfecting Wipes. I would love to try any of their products, especially the wipes, because I love the ease of using wipes to clean around the house. Disinfecting wipes….you never have enough around…. I’m sure I’ve already written this but can’t find it, so it’s a good job I checked 🙂 I’d be most interested in a bathroom cleaner or in fact a surface cleaner for use in the kitchen too.